Brexit was a wake up call – but a wake up to what? A nightmare of Farage proportions that drags Britain further into an Atlantic of fear and chronic isolation? Or a wake up to mend our broken democracy and heal a profoundly torn society? If you agree we want a society where ‘taking control’ means our being capable of shaping a future with the rest of the world, not one where we are ‘controlled’ by our past like a straight-jacket, then we need to understand, I mean really understand, why Brexit happened, what it means and how we build a future we want. As both a passionate European and a long time campaigner for democracy and liberty, I analysed the referendum in openDemocracy, writing a weekly overview, Blimey, it could be Brexit! Now, I’m building on this to write a forensic explanation of why Brexit happened and a call to action: Where We Go From Here. It is being published by Unbound who combine the 18th and 21st centuries – I have to crowd fund the book with advance subscriptions and then write it by November. They will publish and distribute early in the new year. On the night of 23rd June the country signalled a democratic intent to stop being a member of the European Union. It did not stop being European – and Europe’s positive ambitions of cooperation, civility, progress and enlightened hope live on. As Europeans we can still keep this flame alive. If this is what you want – then this is a book for you. Put the pain on one side for the moment. When 17.5 million people voted to take the United Kingdom of Great Britain and Northern Ireland out of the European Union by a majority of one and a quarter million, they did at least three things: they repudiated their governing elite; they challenged the oligarchy of the European Union and its associated network of global power, even if they did so by walking away; and they tore our country apart from our neighbours in a dangerous fashion that risks turning it into a closed and bigoted place. We face the prospect of England being reduced to a self-regarding country: prejudiced and divided, impoverished yet obsessed with money-making, separated from Europe’s culture and leaving its immediate close neighbours Ireland and Scotland infuriated by our selfish recklessness. This is not why the Brexiteers voted as they did. Nor did they act alone. Brexit happened at least as much thanks to Remain’s pathetic efforts. With all the advantages of official power on its side, the ‘Stronger In’ campaign shares responsibility. The legitimate heart of the cry for Brexit lay in the call for self-government and sovereignty against the encroachment of the European Union, coiled within the cunning slogan of ‘Take Back Control’. Against this the Prime Minister and the Remain camp set out their case in terms of narrow, transactional advantage. Claiming that the UK would be better off In and worse off Out was a visionless perspective, echoed in the Labour campaign that the EU is on balance preferable for workers, in terms their rights and the economy, without any larger sense of solidarity. The government spent £9 million of public money sending a pamphlet to every household saying why it believed voting to remain was best for Britain. Patronising and simplistic it opened with 5 negative points about the EU to show that the UK had “secured a special status”. These included, “The UK will not be part of further European political integration”. In its own way the government also ran an anti-EU campaign. It implied that it too did not really want to be part of the European Union but felt we should hang on to our special membership out of self-interest. The outstanding exception on the Remain side in England is Caroline Lucas, the unique Green MP. She called on her supporters to commit to a shared Europe to change it from within. Doing so, it is important to note, in alliance with DIEM 25, a cross-European campaign. She was largely ignored along with the usual British disinterest in serious European ideas. Instead, ‘Stronger In’ asphyxiated the independent cultural mobilisation for Europe essential for generating positive energy. But what will be the outcome of the outcome? If the historic decision of 23 June 2016 was like a thunderclap, the oncoming storm it signals is akin to a civil war over democracy and self-government. At the national level on each side of the shared Irish border, as well as in Scotland, parties for independence from London are marshalling their forces. Across Britain new alliances are being projected on the centre and left, within and without the Labour party. The Tory party is in post-traumatic stress. UKIP may renew itself. Unions, universities, businesses, farmers, hospitals, local governments, NGOs, are all considering their positions – not to speak of two million Brits who live in Europe, a considerable force feeling ignored and aggrieved and many EU citizens vital to the UK’s economy who no longer feel welcome. European governments are meeting to consider their interests. Nations, factions, institutions, associations, and networks, all with their associated media and social media, are testing their strength. Fundamental issues of identity, liberty, livelihood and sovereignty are in play that touch the soul and can generate stubborn resolve. And a domestic political elite that is loathed in a more ferocious and visceral fashion than the EU itself is on the skids. By ‘political elite’ I mean, in particular, the form of rule represented by Tony Blair and David Cameron, the two defining British premiers of the early 21st century, whose form of government can be called manipulative corporate populism and is personified in their respective consigliere, Peter Mandelson and George Osborne, who together plotted and strategized the Remain campaign. 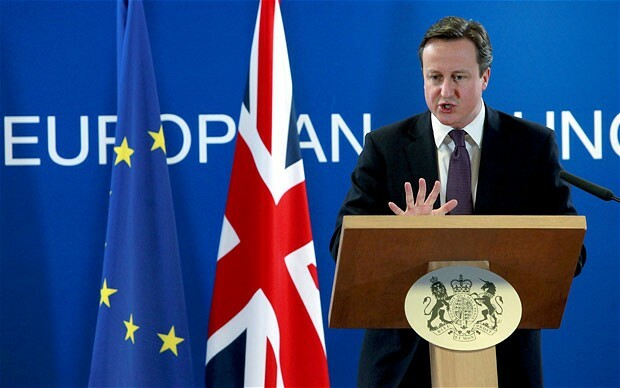 They embraced the EU as “a means to an end” as Cameron boasted. For them the real end they had in mind was the amplification of British power in the form of their ‘leadership’ on the world stage – and integration in the playground of globalisation whose lavish perks they so enjoyed. When it came to the referendum they avoided deliberating questions of sovereignty, democracy and responsibility for international policies, especially migration and finance. Instead, like a dying emperor of Rome hoping to revitalize his fading energies, they turned the referendum into an extension of the entertainment industry. Even though their own approach was gloomy and doom laden, they chucked the European Union into the pit of London’s media Colosseum and were horrified as it was savagely outfought by an upstart Leave campaign pretending it was Spartacus.com. The BBC, once a sage and careful state broadcaster, held its defining debate on the eve of the vote in the Wembley arena that it filled with a literally baying crowd. The House of Commons itself never debated the referendum at all – an absence of great significance. A contrast should shame those responsible for Britain’s government. While serious discussion that might shape public opinion was ducked in London, in Edinburgh the Holyrood parliament did debate the referendum. By their votes and speeches its members showed the Scottish public where their representatives stood, while its First Minister made her position clear without pretension. Although its constitution is still incomplete, Scotland now has one that works. Not that there is a single, calculating consciousness we can dub ‘the system’ that said ‘Right, boss’, when its Premier concluded it was best not to have the issues deliberated comprehensively in parliament or on television. There was a system failure in a now antiquated political setup, which allowed him to shirk testing the arguments in a competitive context – which is, or was, the whole point of having a parliamentary system. Cameron followed the advice of the cunning guides who had kept his empty vessel in Downing Street for six years. They sought to triumph by evasion and got the result they, at least, deserved. My intention in this short book is to map the key issues and propose a way forward. This is far from being just a matter of policies or asking what ‘line’ should be taken. It is indeed a matter of what kind of country we are. There is an underlying pathology across the whole of British politics that embraces change in order to remain the same. Since the 1970s it has drawn on the energy and ruthlessness of the market to refresh a traditional love of authority embedded in imperial and wartime success. First Thatcher then Blair tried to fit Churchill’s mantle to their shrunken shoulders. Cameron flailed around seeking a transformative moment that would slot him in as well. At the start of the referendum campaign he told the Independent, “the world I want my children to grow up in is… a big, bold, brave Britain… That’s the kind of country I want my little ones to grow up and inherit…. a swashbuckling, trading, successful, buccaneer nation of the 21st century within the EU”. Cameron’s effort to have it both ways was not dishonest. By flashing his Francis Drake while embracing the EU he was simply reproducing the perfidious tradition of his predecessors. They always sought to use the EU to preserve British power against Europe. But for all its crises and its criminal embrace of German-led austerity, the EU has been a considerable success and intends to continue to be so. It believes in itself as a shared project. Thanks to his greater familiarity with the EU, Cameron’s nemesis Boris Johnson saw that the game was up for the old British approach of undermining this. He could have embraced his self-proclaimed “liberal cosmopolitanism” and sought to change the country accordingly by leading the Remain campaign. Instead, he bid to become a successor to the apostolic tradition of Churchill, Thatcher and Blair in the only way now possible, by declaring the need for ‘independence’ from the EU. Boris Johnson won the vote. Should we therefore call for an immediate reversal of its outcome by parliament or by a second referendum on the grounds of his dishonesty and opportunism? Not if this means trying to return to the status quo – should the EU want Britain back, which should not be presumed. The EU itself needs to change and, tragically, the UK cannot now directly participate in this. But our country’s political system needs to change even more. The old way of getting around this by being half-in half-out of the EU preserved decades of bad faith. It enabled politicians and media to blame others – from immigrants to Eurocrats – for our own failures, relieving our leaders of the need to suggest that we really should change. Brexit is another stage on this process of denial. Except that it is wilful not evasive and has abandoned Britain’s natural allies. It is a provocation that may permit the real battle to begin. The real battle being cultural as well as constitutional, to ensure England becomes a European country again and puts its imperial British phase behind it. Much of British society has done so already, now it is the turn of its political arrangements. With respect to the millions who voted for Brexit, the vote was about much more than simply membership of the EU. It was also about whether we can trust those currently in charge of Britain. It is wrong to suggest that their victory was illegitimate because it was only the result of hatred of immigrants, racism, deceit and tabloid propaganda. For in addition, as I will set out in my opening chapter, there is an underlying truth to the judgment that took place. The vote for Brexit was a brutally refreshing verdict on the autocratic way in which Britain is governed. It is a matter of attitude, culture and language as well as policy and can be illustrated here with one example. Jonathan Portes was Chief Economist to the Cabinet. He appears to be a well-meaning professional who despairs at the irrationality of Whitehall. Nonetheless he defended immigration in the Observer two years ago by writing that it is “likely to boost the UK economy without doing much, if any, damage to the prospects for native workers”. He continued, “Immigrants have different skills and experiences to native workers, so they complement rather than substitute for natives, helping raise wages and productivity for everybody”. He quoted a government paper that refers to “native employment outcomes”. Earlier he co-authored a column in the Times with no less a figure than Gus O’Donnell, who as Cabinet Secretary from 2005 to 2011 was the most powerful civil servant in the land. The two of them shared the same insulting attitude, claiming immigrants “increase the incentive for natives to acquire new skills”. You can welcome immigrants and at the same time recognise that such an attitude towards the British people is completely repugnant. Yet top policy makers regarded such language as normal. As far back as the 1970s there was evidence that the UK itself was becoming the last colony of the Empire. Scholarly analysis showed how Westminster drew on imperial experience as it centralised its control over the once mighty municipal cities, while Tony Benn used the notion rhetorically to condemn the way the executive treats its subjects. Brexit was led by the right and far-right but it was hardly conservative. Its contradictory nature creates all kinds of openings. It seeks to restore ‘Great Britain’ but has accelerated the breakup of Britain. Its slogan was ‘Take Back Control’, but for many of its supporters this was a call for more government not less, as its hedge fund backers hope. …as a result of Brexit, Scotland is likely to go its own way. Whereupon we English will have to be ourselves. Alas, for many of us this is not a happy prospect as it releases forces of denial, repression and discomfort bound up with illusions of grandeur, alarm over becoming a ‘small nation’, and the country’s peculiar class and social system. But, and this is one of the most significant developments of the short period since the 2015 general election, people have been joining the Labour Party in unprecedented numbers. Inspired by the unexpected figure of Jeremy Corbyn, the initial wave of new members shot him to the leadership in 2015. Now, as I write this in August 2016, 640,000 ballot papers are being sent out in a second leadership contest. It is a mind-boggling number compared to all other English party memberships. The media, obsessed with Westminster and personalities, is failing to report and analyse a potential transformation in UK democracy. Cameron committed the UK to a referendum as a tactical ruse; Ed Miliband altered the rules of electing Labour’s leaders so as to dish the unions. Without meaning to each unplugged veins that led to the same volcanic resentment. And both saw their politics blown away. The first ‘Corbyn surge’ was a harbinger of Brexit, the second, current one, is a continuation of its defiance of established politics. The two movements express a shared opposition to globalisation’s “neoliberal fatalism”. It does not follow that either will be a success. All that is for sure is that together they have brought the old corporate politics to its knees. National identity, political economy, a greedy and indifferent global elite, the lack of real democratic government, the collapse of an influential left, the rise of large, wild, popular movements, the accelerating movement of people internationally – all combined to generate the Brexit insurrection. The outcome puts in question the kind of country Britain is. I hope it is a relief to know that there isn’t yet a one-word answer to the meaning of Brexit. Grief over the loss of a shared European future is not confined to the young. Scientists, artists, scholars of all kinds, medical researchers and engineers are still involved in creative work embedded in international collaboration that the EU has assisted hugely. Ripping the UK out of these networks is an act of philistinism. Brexit could close off the UK from the EU’s achievements while demonstrating an ill-judged presumption of superiority. Most over sixties supported Leave out of complacency rather than wisdom and could menace the achievement of their generation: the end of fascism. This may sound alarmist but the images of Nigel Farage basking in the applause of Donald Trump signal the danger. It will be intolerable if the rejection of the EU for its undemocratic practices turns into animosity towards all those from around the world now living within the UK and changing it into an interesting and lively country. Are we wrong to fear the rise of prejudice both at home and across the EU, the re-awakening of racist violence, the arousing of white supremacy, the barking of an upper, middle and working class chorus of bigotry – threatening purification, exclusion, expulsion and regimentation? If anything like this should raise its head we are going to fight it with every means we have – and we fear this too. In Where do we go from here? Britain after Brexit I intend to set out the arguments telegraphed all too briefly in this introduction. You don’t need to agree to want to see it in the shops. Subscribing to it in advance can make this happen. Thank you. You and I are both over sixty and know it was our parents’ generation’s achievement not ours. Perhaps you feel so young that you identify aged Leavers as your parents? Yes, I think the comment about the over 60’s is as insulting as he thinks the comments about “immigrants” and “natives”. My view is that what we have in 2016 is not the Common Market we believed we were voting for in 1975. The generation who fought in WWII did in many cases have actual experience of Europe, its people, the effects of fascism etc. OTOH the next generation, the immediate post war ´bulge´, grew up on a constant diet of ¨We Won the War¨ which portrayed the Germans as mindless robots forever ¨just obeying orders¨, and most of the remaining Europeans as supine ¨surrender monkeys¨ etc. It´s easy therefore to portray the EU, to this particular generation, now in their late 60´s, as just another German Reich. Much of this is subconscious of course, and will quickly evaporate if challenged with facts about the detailed working of the EU. These facts were and are however in rather short supply in the UK. Subconscious prejudice is far more dangerous than reasoned opposition, for the simply reason that it can so easily be manipulated. This article goes off the rails in the first paragraph. Being European us a cultural identity and nothing to do with particular shirt-lived political institutions. Which in the case of the post-war Brussels-based political assemblage looks like it is coming apart from within without even reaching 100. Communism at least did 70, and Russians were Russians before, during and after (and Europeans, for that matter). That’s real identity. One of the interesting features of the EU referendum was the extent to which being in the EU was also related to the question of European identity. Although I understand your point I’m rather sceptical of claims that you can be ‘pro-European’ but also vote leave. Real internationalism means engaging with the world as it is rather than some fantasy about how we would like the world to be. I think the original article made a similar point: “We face the prospect of England being reduced to a self-regarding country” etc. So I don’t think the comment indicates anything problematical. Applogies for the bad spelling. We’re unavoidably European – by language, by culture, by geography. Leaving the European Union is like an African country leaving the African Union. They aren’t any less African. An important and intelligent article. I greatly look forward to the book. This is all very well, it’s all very well indeed, sir, to examine the pantomine of the Brexit Vote, but it’s something not unlike trying to understand an earthquake by inspecting the ruins of broken temples and smashed gravestones without paying any attention to those tectonic plates which have shifted below the surface; or providing a microscopic description of the froth of a glass of beer instead of delving into the thorny matter of yeast, hops, barley, brewing conditions, and so on and so forth…. …the fact is that Britain stopped engaging with Europe a long time ago. The English are so ridiculously insular, pompous and stupid, that they believe that they have no need to learn foreign languages or read foreign language books. The cultural withdrawal of England from Europe has been going on for decades. 1) Brexit may mean fewer British tourists on holiday in Europe, which is a good thing, a very good thing indeed. Those fat, drunken, monoglot Brits, with their big stomachs and loud voices, with their red faces, falling over drunk all over the continent, may be a thing of the past. This is to be welcomed. Good riddance to them. 2) Europeans who believe in the ultimate goal of a Federal Europe can get on with it without the never ending whining and complaining of the prima dona Brits. Hooray to that. 3) It would not surprise me if English was dropped as one of the official languages of the EU. Why should it be after Brexit? So French, Germans, Spaniards and Italians will be able to cease learning that exhasuted language full of phrasal verbs and prepositions, a washed out language, the language of political corectness and memes, of advertising and money. A language which is a shadow of what it once was, polluted by Power and Empire. George Steiner compared English these days to witewash, “easily spread but lacking all body and consistency”. I couldn’t agree more. 4) No more Nigel Farage, no more Cameron, Brown or Blair, no more of the fatuous upper class English twits who are the architects of Brexit. Good riddance to them all. Having just read your comment that ‘The English’ are ridiculously insular pompous and stupid’ reminded me of the that anti-Englishness is still an issue in Scotland. Anyone who uses the term ‘the English’ should be treated as suspect. That was not a very intelligent response. You are using the term ‘the English’ to make sweeping generalisations about English people and as I said in my last post I think that your real agenda is to smear this site and create the impression that the people who post on Bella are anti-English. The author of the article is presumably trying to smear Bella too I guess, given that he talks of England and the English? I think the original article made a similar point: “We face the prospect of England being reduced to a self-regarding country” etc, saying very similar things about the English. So I don’t think the comment indicates anything problematical. I see a difference between the authors reflections on England and even though they contain sweeping generalisations they are not anti-English per se. However, the rants that followed which talk about the ‘English’ are very different. Take for example, the line that ‘The English are so ridiculously insular, pompous and stupid, that they believe that they have no need to learn foreign languages or read foreign language books’. This was the line which got my back up. Substitute the term the English and replace with the Scots, or the Africans and you see the effect. This is anti-English drivel and creates a bad impression for the site. Then you must appreciate the delicious irony that English (or possibly American) is now the EU’s working language, despite no member state having it as an EU language? Utter rubbish. Young Brits may again require to equip themselves with the necessary documentation, as was the case previously, but they can of course go and “love” (strewth!) in another country if they want to. I didn’t bother reading the rest because it was so blatantly obvious where the author was coming from, just another peeved Remainian. The free movement of people within the EU was one of the great, great achievements of the post-war period. A nation of people who do not know how to toss let alone dress a salad, who have no knowledge or interest of at what temperature it is best to serve beer or wine, a nation which overcooks everything – vegetables, meat, fish, it makes no difference – and who refer to the rest of Europe as the amorphous “continent”, as if all Europeans were homogenous. The country, the ridiculous, paltry cultural backwater – London and Manchester excepted – which has driven thousands of Europeans to despair and even to suicide due to the weather and the insipid, calculating and materialistic denizens, not to mention the frankly appalling, atrocious and well nigh inedible food. This animal loving / foreigner hating backwater, this monarchy infested scepeterd isle, has voted to isolate itself from 2000 years of European culture – with or withour Brexit; the number of the leading novelists in the UK who read in a foreign language could be counted on one hand – and it calls it “independence day”…. …the UK will be back in the Dark Ages before too long, the centre of power has effectivel shifted away from London and all those constipated, smug and self-congratulatory people who read the news on BBC, which is another thing to celebrate…. Disgruntled European the various traits which you ascribe to the English (which may well be fair comment in relation to an unfortunately high percentage of the population) can similarly be ascribed to the Scots, the Welsh and the Irish. Indeed I’d go further and say that it is not only Brexiteers who are guilty of this approach. The “British” attitude to languages smacks of arrogance. Before you follow up with further diatribes, which are, as Frank has commented elsewhere quite blatantly anti English, maybe it would be more useful if you commented on ways to address the problem and help us all become a little more European in our approach. I agree Archie, some Scots and Welsh and Irish can be described similarily, of course. Blatantly anti-English you say? Okay, fine, but no more than people were anti-German during Nazism and anti-Spanish when Franco was in power and will be anti-French if Le Pen gets in. What I mean is that I am generalising, but there are good reasons to generalise. About half the English establishment backed Brexit, and liberal England had no balls for a fight….the BBC gave the airwaves over to a bunch of racists. Cameron was ambivalent about the vote, and so was the Labour Party. I am bloody furious with England. What should be done? Well, it´s too late, but let’s just say that it is no suprise that the English voted to leave given that they are not taught European languages almost at all these days, very rarely read any European literature in translation, and know nothing about what is going on in Europe politically, because the press don’t report on it. England has become more insular, isolated and inward looking since Thatcher, and they have the most twisted, sewer infested press in the world there. What was the decisive element in the French Revolution and the English Revolution? Control of the print press. And liberal establishment England has handed the keys over to the lunatic racists. The Guardian supported the war in Iraq, The Guardian has done its bit to create the breeding ground for xenophobia too. It’s liberal left and centre left England which has to face up to the fact that it is utterly complicitous in the swing to the right in English politics since Thatcher, by aping the Right in everything from the ultra free market, foreign wars and the royal bloody family. They are just as responsible as Farage in their own way. What’s to like about England, remind me? It used to be their liberal tradition and their tolerance, but that has GONE…. And this has just started, eh? Or does anybody think that UKIP and the right of the Tories are going to suddenly stop playing the xenephobia card at the next election? Once the negotiations start, there will a hardline Brexit party and a softer verion, – and so much political capital to be made there – but the EU citizens in the UK are going to be on the bargaining table. And you want me to mince my words and do fancy footwork when we’re talking about generalities, because in politics we always talk in generalities….? Disgruntled, I’m not asking you to mince your words, merely to use them a little more effectively. A little more of the rapier rather than the blunderbuss. Even when not entirely objectively true, it´s still good I think to ¨see oorsels as ithers see us¨. Even if exaggerated, that´s still the impression many have of the English and/or Brits as a whole. Of course there are many strata and sub-cultures that don´t fit this pattern. Just to take one example, the Welsh have their own language and national identity, which to some extent gives them a more cosmopolitan/European outlook. To see ourselves from the outside and not only through a Scottish /British lens makes good sense to me. Also with a little help from the media it would make a difference for Scots and others throughout the British Isles to get a better handle on our counterparts throughout the EU. Strikes me that there are more than a few who think of the EU only in terms of easy travel for the purposes of their holiday. Is it just me who is being paranoid or does anyone else think that ‘Disgruntled European’ has an agenda to deliberately litter the comments sections with anti-Englishness in order to discredit Bella? I would keep a check on IP addresses. One of the more depressing tactics of nationalists (all nationalists) including Brexiteers is to at every opportunity create or accentuate the differences between people on monolithic generalised terms. It’s called othering and attribution fallacy (when context – such as the manipulated narrative – is ignored in analysing human behaviour). They do this because despite all our pretensions of rational thought, most if not all of us are heavily influenced by identity and emotion. This was one of the more unpleasant and reactionary aspects to both the Scot indy ref and the EU vote in England and Wales. 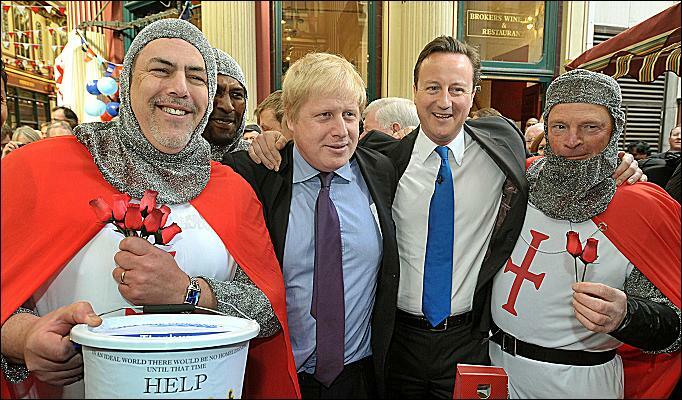 Examples of such narrative manipulation occur time and again on this site e.g) This article filed under ‘English’ Culture, with a picture of guys in St Georges crosses being chummy with Cameron and Boris (with Help for Hero’s charity logo curiously cropped – they are clearly ex servicemen on a jolly to London) alongside an article highly critical (even if justified) about Brexit where the reality of the situation is much more fluid and complex e.g. many indy supporting Scots also voted to leave and many English also voted to remain. The point being there was no overall consensus either way, yet that is impression the site wants given. Just because ‘othering’ is now very sophisticated and subtle doesn’t mean it isn’t being used. Just because nationalists stick the word civic before it doesn’t make it any less of the same family that caused so much damage elsewhere. …the Brexit campaign was a racist and xenephobic campiagn. Why did England buy it when Scotland didn’t? Why did the Nazis come to power in Germany and not France? You may wish nationalities to disappear, but the fact is that they exist, and particuarly so for people incapable of constructing a discourse/ “identity” of their own. Why has England lurched to the right? What is going to happen now? I hope you made your voice during a referendum campaign in which all of those not born in Britain were collectively “outed” for months on end….a DISGRACE! 1) The two areas with the lowest abstention rate was Glasgow and Dundee, both high scot nat areas. If you take the demographic breakdown of many English regions and the relatively high turnout, the complex answer is that in many English and Welsh regions, despite losing the majority still had a greater % of voter who voted to Remain than either Glasgow or Dundee. You could argue they did. As for Germany that is a very complicated question. Why did one of the most liberal and enlightened country’s in the world fall prey to such things? People do Phd’s on this kind of thing. One thing I do know is that there are commonalities in all nationalism. e.g. The politicisation of culture and language – as true and untrue – nazi’s used the word degenerate. Then there is the scapegoating and blaming of another and looking for differences in everything which are then couched in myopic ‘moral terms’. Then there is the constant deflection to conspiracy and the need to constantly create or reference an enemy – political religion does the same thing. Then there is the endless reference to the nation as the general will, as though a certain majoritarian (or not) view is what constitutes democracy, not the structure of law and separation of powers based on the individual. Then there is imagery and the cultural focus entirely on either historical victimhood. Then there is the ‘hope’ the utopianism that denies reality and rubbishes inconvenient facts. Then there is the promise of simple solutions to complex questions. Why do some nationalities form orderly queues whilst others do not? Why do some nationalities deal with the immediacy of a tragedy with calm stoicism whilst others engage in histrionics? Yes, individuals are a spectrum, and yes, societies are in a constant process of change. But there is such a thing as national culture. It is not however racially based. Place, rather than race, defines how societies tend to operate. What an amazingly inane BTL discussion following an interesting and perceptive article. I’ll be interested to read the book when it comes out. Thanks very much John, sorry to be ‘Un-English’ but I hope you and other Bellas can pre-order the book from Unbound or it won’t get published! One thing is for sure, Anthony Barnett does not lack self belief, “As both a passionate European and a long time campaigner for democracy and liberty………” but it seems he needs to be reminded what democracy actually means. Anthony needs to consider these elements and I suggest he should apply them to the recent referendum on EU membership. The referendum was a democratic procedure pledged in the manifesto of a political party, that party went on to win an election, form the government and deliver the referendum. All citizens had an equal vote in the referendum. When the votes were counted more citizens voted to Leave than voted to Remain. If Anthony really is a passionate about democracy he should give up on forensic explanations of why Brexit happened and accept the result. To do otherwise is infact the opposite of democratic it is undemocratic. He is not proposing a violent revolution. The key is in your b) the active participation of the people. That means more than placing a tick in a box every 5 years or voting in a referendum, which is not a satisfactory means of deciding on complex issues. With all respect, Richard, I argue that the result must be respected! To explain something important does not mean to try and explain it away or deny it. On the contrary, I insist on its standing as a democratic judgement. I take your point. But I think you over dramatize what is to come. “If the historic decision of 23 June 2016 was like a thunderclap, the oncoming storm it signals is akin to a civil war over democracy and self-government”. Its obvious you are passionate about this but I don’t think this helps. ‘Don’t think, don’t question’. Got it. You can either argue that residency is the criteria for a vote, in which case EU citizens would have almost certainly won the vote for REMAIN, or you can argue that nationality is the criteria, in which case there were no grounds for excluding UK nationals living abroad….what you can’t do is what that frivolous nitwit Cameron did, and rig the franchise so it suits your own narrow ends. Why is it inane to challenge people who are anti-English? Your response suggests a level of complacency which should also be challenged. While I agree with many of the sentiments expressed in the article it is easy to be seduced by good, polemical writing and assume everything that is said must therefore be true. I think he over-eggs the case that revolution is nigh. It is equally possible (perhaps more likely, even) that things will go on much as before in the political world: the HoL will still be there in 20 years, the honours baubles will still be awarded, the finance industry will still be in charge, foreign (mis)adventures will continue and the people will still be denied real participative, deliberative democracy even as the last vestiges of Attlee’s social transformation are privatised. Thanks, Broadbield, I sure do not think it is nigh! Metaphorical “revolution”. “Reset… so that voters have proper representation in parliament”. Is that not lacking in ambition? Once again I agree with all the sentiments, summed up in your final sentence of the article, but Democracy should be much more than electoral representation. Perhaps you have read “Against Elections: The Case for Democracy” by David van Reybrouck? folk from these islands were living and working in mainland Europe for centuries before the EU was ever born. likewise, we had foreigners moving here. what makes people think that Brexit is going to put an abrupt end to this two-way human traffic. The flow might just become more selective. And what makes you think Europeans will want to come to live in the UK like they did before? I would imagine numbers would drop after Brexit. I think that the consequences of this are unforseeable, but we now have a major political party, UKIP, who are well to the right of the Tories. I can two years ago during the Scottish independence referendum. In fact I think their behaviour was worse during the independence referendum, e.g. Brown and his organ transplant lies, instructing RBS to say it would relocate its HQ to England, bbc broadcasting bogus cuts to NHS and their biased reporting, actively working against our EU membership, no £, border posts, blackmail over naval ships and actively working against NATO membership, etc, etc. With funds running low in the kitty, the behaviour of the English establishment will worsen as they strive to maintain London’s preeminence at cost to all else, including Scotland. I am over 60 well over in fact and voted to remain in with great reservations,it,s like having to choose between Clanton/Trump as it means going and giving more power to the cesspit that is Westminster or stay with the whole pile of corruption that is Brussels,damned if you do or damned if you don,t,do away with all politicians SNP included. Europeans have had enough of England’s natural party of government and their never ending opt outs. All that the Tories ever wanted from the EU was free access to the market for City financial services. The unwillingless to share and pool sovereignty has resulted in where we are now. When you have a political establishment which considers itself to be unaccountable to anyone except the Monarch then democracy will always take a back seat. Without a written constitution and the acceptance that the democratic will of the people is sovereign,nothing is going to change in England. A mention of “the referendum verdict” gives the game away. There was no verdict. The referendum does not work as some people here think. It is not a first-past-the-post election. The referendum was an advisory straw-poll – a snapshot of public opinion. We need to be half in and half out, on the basis of the result. There needs to be a referendum on any suggested change in our relationship with Europe, of course. I wish them well, but it is Scotland I am concerned about and our continued membership of the EU. Scots can’t dictate or influence what happens in the uk! We won’t be members of the EU at independence – the EU may not even exist in its current by then. The SNP are going to play a long game, there is no other choice, but that will mean any indy2 will take place post-Brexit. Pity they have to play the long game. But the Nawbags are a drag on progress. That’s realism. Until the borders and access to markets issues are decided – future Scotland will be in the same position are present Eire – there is no point in making a move to another referendum. That’s not to say that a better, future Scotland couldn’t be put in train now. The reorganisation and devolution of local government, rather than the current centralising trend, would be a start. I wouldn’t say there is no point in moving to another indyref soon. There’s a lot of point to it – ideally, we could remain in the EU without ever having left it, if Brexit and indy negotiations happen simultaneously. I just think it would take a huge amount of political skill and effort to shift public opinion to accepting doing both at once. The Nawbags are the instinctive conservatives, they don’t like change, and are comfortable with the way things are at present. They haven’t yet accepted that the UK is pulling the rug from underneath their feet. And that they will have to be unsettled anyway. The choice is, on what terms? England and Englishness: I think the painful fact for the English is that their identity, so long buried under the mask of British supremacy and imperialism, is revealed as dangerously schizophrenic and they are hurting, hurting bad at the hollowness and lack of solidity at the centre of it. They are both authoritarian and liberal. If that sounds contradictory, let me explain. Their Anglo-Saxon-Celtic mythic social culture tends towards the liberal and to the individualistic. They are patient, practical, visionary, and orderly. Instinctively egalitarian. ‘Speak without fear or favour’. ‘A cat may look at a king’. ‘Sauce for the goose is sauce for the gander’. But their political culture, created by the great jackboot of the Norman yoke, is brutally elitist, controlling, and authoritarian. This spirit infects all of their important institutions, though not their lesser ones. Not so long ago, despite being a Christian nation, they thought it acceptable to send starving children to the gallows for petty theft. ‘As well be hanged for a sheep as a lamb’ was the commons retort. English cultural identity is elite identity. It is the grand houses of the aristocracy, Brideshead revisited, the ruling class. Unlike Scotland, Wales, or Ireland, England has never celebrated the culture of the common folk. In the 19th century, nationalist movements looked for inspiration to the culture of the common folk to define and express the genius of the volksgeist, and they celebrated it, everywhere in Europe except England. England was alone in celebrating only the elite the culture of the ancien regime as the ‘national’ stereotype. Even the Viennese celebrated the culture of the ordinary Austrian peasant as well as that of the Hapsburgs. What is happening is that Albion, so long asleep, is at last awakening, and throwing of the Norman yoke. The process of self discovery is as painfull as it is radical. I don’t know that we have too much to congratulate ourselves on. We bought into the Norman political package (voluntarily rather than by conquest) and feudalism was well established. The Highland clearances were made possible by the fact that Scots law concentrated power in the hands of the landowner, aka “the chief”. The poor not only had no lawyers, they had no rights. And on your point about the common people – culturally, it was the English common people who won out – that’s why England speaks English rather than Norman French. And for that matter, Scotland, and the rest of Europe. There is a huge difference in ‘the feudal system’ (a management model) being adopted piecemeal, gradually, and voluntarily by Scottish kings from David I onwards, (as it was all across Europe) and thus controlled by Scottish kings, and it being imposed suddenly by foreign military conquerers who deposed the king and hated the subject people they had conquered and were intent on suppressing them. The Scottish king was the font of all justice and held his feudal lieges to account in regular justice ayres across the country. Complaints of the commons against their lords were heard. The Norman Conquest in England however bequeathed far more than the feudal system. It also bequeathed a brutal authoritarianism to England’s legal culture and a class system that the conquered English have accepted as the norm. In Scotland the common people have never accepted the idea that their lords were their betters. Medieval French knights serving the Scots king commented on the uppity attitude of the commons to their lords; that they frequently criticised them, and if they were sufficiently dissatisfied with them, they and their entire families would shift their allegiance to another. Capital punishment was used sparingly in Scotland and in many cases the alternative of banishment was offered. Hence in the 19th century there was a saying in the new colony of Australia that ‘in Scotland a man is transported for a great crime, in England, for a small crime, and in Ireland, for no crime at all’. On your point about the English common people winning out ‘culturally’, this is the historical myth that the English like to peddle about themselves, that they crawled out from underneath the Norman Yoke, and that the Norman Yoke is therefore now an old chestnut. I am not so sure! In what sense did they win culturally? The fact that they ‘won’ linguistically does not mean that they won in other cultural terms. Like in terms of political, social, or legal culture. (Even with English common law). How else do you account for their current willingness to submit to authority and to accept the diktat of neoliberalism (‘there is no alternative’) and corporate power? Why do they keep voting Tory in droves? Why do they accept the diktat of austerity, high rents and low wages? I’m not saying we have succeeded in overthrowing the ancien regime in Scotland – the union saw to that, and wedded those b*****s into the political saddle more firmly than before, and has been a brake on our progress. But for the union and the empire (they are the same thing) there would have been a revolt of the commons in Scotland long ago. But at least we have always questioned why they should have the power they have over us and have always chafed and grumbled against elite control of our resources. Excellent comments MBC. Can I add that the “common” people lost out in England as many did in Scotland when the land was enclosed or cleared of people and the “commons” were stolen by the big landowners. It happened north and south. One of the most appalling consequences was that many of those who were dispossessed and emigrated went on to act just as cruelly to the indigenous peoples they found occupying the “new” lands in America and Australasia. “In its own way the government also ran an anti-EU campaign”. This is a rarity in the standard Brexit debate; a genuinely shrewd and observant point. Hats-off ladies and gentlemen.